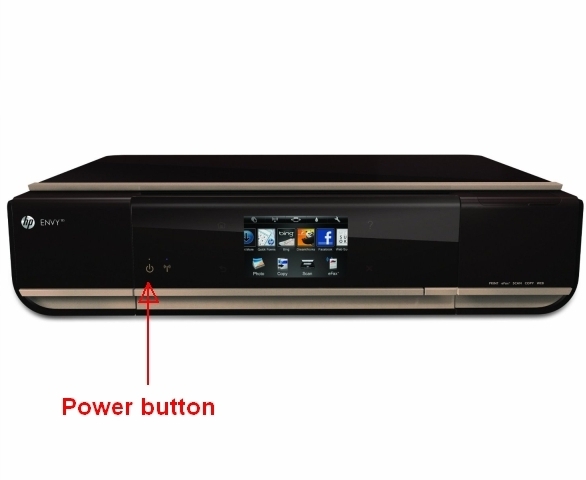 Which ink cartridges do I need for my HP ENVY 110 e-All-in-One series Printer? For your European or UK HP ENVY 110 e-All-in-One series Printer you need HP 300 or HP 300XL cartridges. 3. Open the access door. The carriage moves to the center of the product. Wait until the carriage is idle and silent before continuing. 4. Lift the lid on the cartridge slot to release the cartridge, and then pull the cartridge out of the slot to remove it. 7. 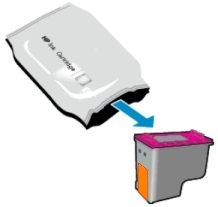 Hold the cartridge at a slight upward angle with the cartridge contacts facing the rear of the product, and then slide the cartridge into the empty slot. 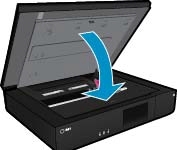 Insert the color cartridge in the slot on the left. Insert the black cartridge in the slot on the right. 8. Squeeze the lid closed as the cartridge slides into place. 10. Close the access door. After replacing the cartridges, the alignment process should begin automatically. The product prints an alignment page. Once the alignment page has completed printing, your printer will be ready for regular use. A. To align printer from the printer display. – Touch Setup on the product control panel. – Touch Tools, and then touch Align Printer. The alignment process begins, and the alignment page automatically prints. B. To align the printer from the computer. Follow these steps to align the product using the product software. – Open the HP product software: Click the Windows icon, click All Programs, click HP, click the folder for your HP product, and then click the icon for your HP product. The product software opens. – In the product software, double-click Printer Actions. Double-click Maintenance Tasks. The HP Toolbox opens. 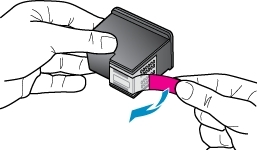 – On the Device Services tab, click Align Ink Cartridges. The alignment process begins, and the alignment page automatically prints. Once the alignment page has completed printing, your printer will be ready for regular use.